This is an oldie but goodie. 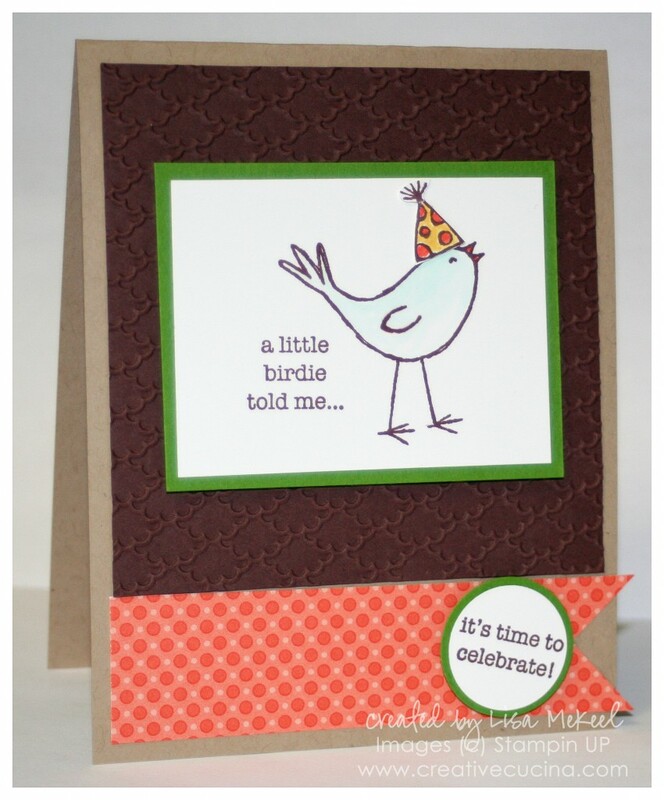 I love the A Little Birdie Told Me stamp set. I made this using some scraps I had on my desk and it came together nicely. 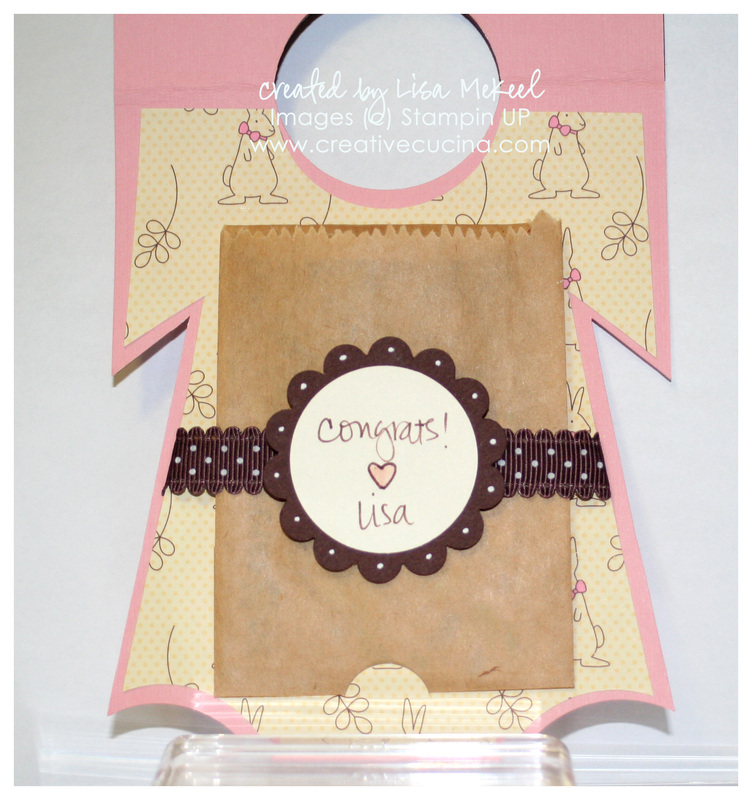 The card base is Crumb Cake, layered with Chocolate Chip card stock that I embossed with the Fancy Fan Embossing Folder. The stamp was colored in with Copic markers and I attached the party hat with a glue dot. The background card stock is Gumball Green. For the sentiment, I stamped it on Whisper White and then punched it out with the 1″ Circle Punch matted with Gumball Green. 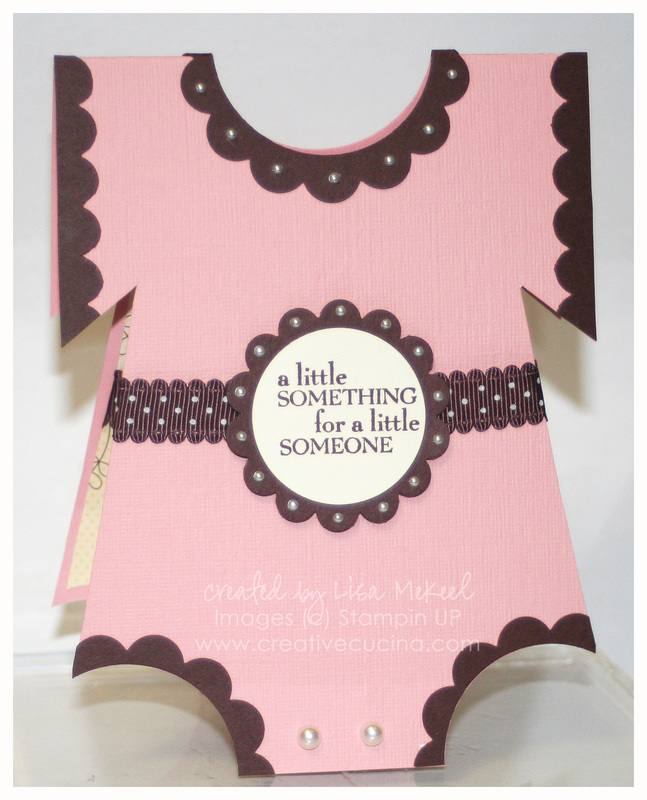 The strip of paper at the bottom is from Summer Smooches Designer Series Paper, notched into a V at the end. A year ago today I was at this wedding for my brother in law and now sister in law. This is the card I made for their first anniversary. 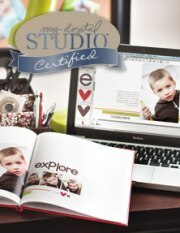 The base is chocolate chip card stock, layered with very vanilla and Mocha Morning Specialty DSP, which I L-O-V-E. This particular pattern reminds me of elegant wallpaper with a subtle metallic sheen to it. 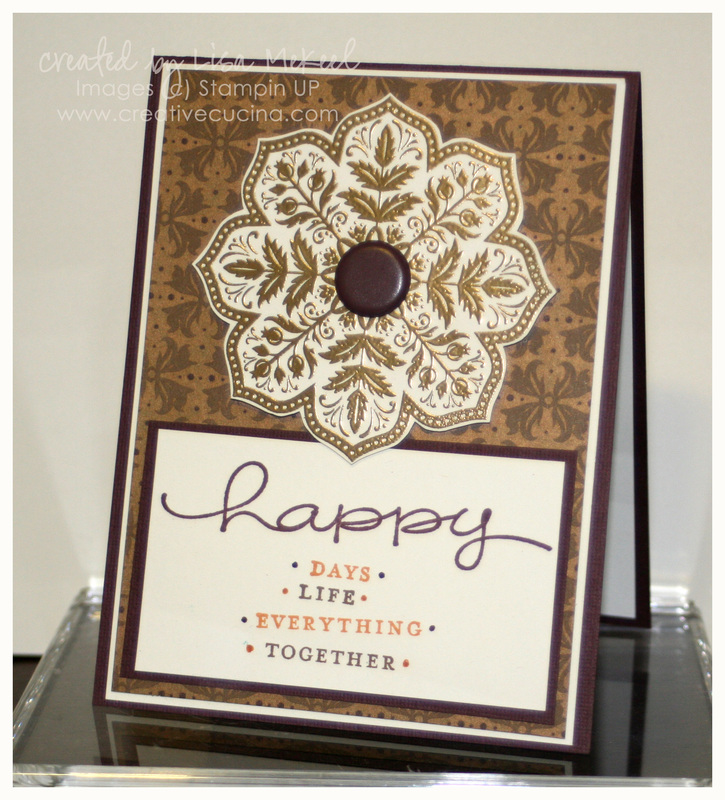 The medallion stamp is from Day of Gratitude, stamped with Versamark ink on very vanilla card stock and heat embossed with Gold Embossing Powder. I trimmed it out and added a brown Jumbo Basic Brad in the center. It’s adhered to the base with stampin dimensionals. At the bottom of the card, I stamped “happy” from Happy Everything (retired) in chocolate chip ink on very vanilla card stock. Underneath, I stamped the other words from the stamp set: “Days, Life, Everything, Together” in chocolate chip and more mustard ink. I decided to skew them a little so I wouldn’t need the stampamajig.